Download the mod and use it. Publish this mod anywhere else as long as he add credit to peurounet and keep the original AdF.ly link. Publish this mod without keeping the original AdF.ly link or not giving credit to the Author. The author isnt responsible of any crash or broken minecraft copy with this mod. If you like a generator, please give diamond and comment it. Underwater NPC Village next to a mountainous desert. Peurounet Hills generator, which were oen of your idea. All biome generate only Hills like place, this is a desert. It's a great economy server! Looks a lot like a world-generator. Dont worry, I were planning on giving some more, if you want a fully accurrate thing, well, try it, it's really really insane, there is river where there arent, anyways, screenshot now. 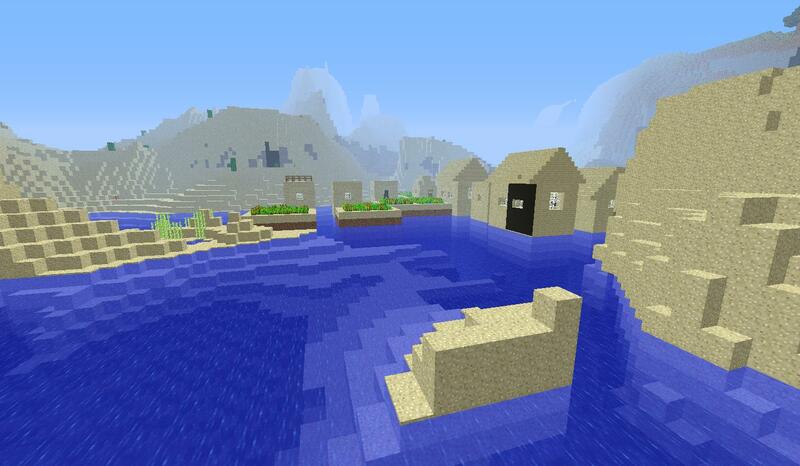 Screenshot shows a normal minecraft world. Not downloading until you come up with a convincing screenshot that is different. I distorted the minecraft, actually, the screenshot show a forest biome, in one, and it's highly distorted. I'm getting more.Well, I got a definitive one, this one show's a plain, it look kinda like a distorted ocean. Okay, hey, if anyone think he could do good screenshot of this mod, I'll surely appreciate. Also, I'm currently creating a Soooo insane terrain generator that it would kill all other generator. And seriously, thank you taa1taa. Also if you checked my account you should know that I'm doing a WIP mod, which would add zombie, and I could have a need of help with that. Anyways, it's incompatible with this mod, BEWARE! Nope, as the API werent released, though it is compatible with 1.2.5, so, here you go. I just downloaded the mod. Please don't go offline the forum. I'm getting a picture ready. Underwater NPC Village next to a mountainous desert. And mini desert islands. Hey, thank you so much, I said that this mod were changing some thing, anyways, thank you. I will keep this mod updated as long as possible. Hey, good idea, I'll try doing it (not now, I'm not programming for now), but really, all the idea you got, I'll try to make them real... Also, I guess I will be doing a Ocean to Plain generation. I may try, but, where would be the wood in this? Well, okay, I'll try. Taa1taa, may you post the other generator on planetminecraft? I currently have 100 download from planet minecraft. Why four different downloads. These should be one mod with four different options.